Where had the time gone? Somehow it was already Sunday, and Day 1 and Day 2 were already behind us! Sunday promised to have the best weather of all, as well as some acts I’d been really looking forward to. Because I’d missed The Helmets last year – but heard them from my house and was impressed enough to text a friend who was already there, asking who they were – I knew in advance that I had to make it there early this year to see them in action. 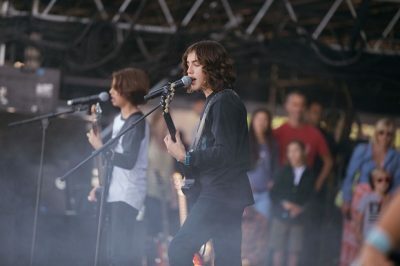 Within minutes of my arrival at the JaM Cellars Stage, I watched in awe as three young boys (all but one of them are 12, the oldest is 13) crushed a set of original songs and covers (including Led Zeppelin’s “Black Dog”). 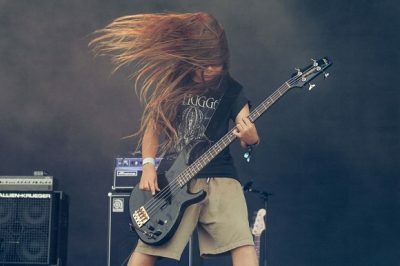 The band is made up of Bastian Evans on guitar, Kai Neukermans on drums, Bryan Ferretti on guitar and lead vocals, and Tye Trujillo absolutely destroying the bass guitar (perhaps in part due to the fact that his dad, Robert Trujillo, is the bassist for Metallica). Original songs included “Thrash Doom,” “Iron Ide,” and “Rising Machine.” I was struck by how comfortable these little guys were on stage – none of them seemed remotely shy or plagued by any ounce of stage fright. They are definitely a band to keep your eyes (and ears!) out for: I predict great things for them. Seriously, this band is really good. Don’t believe me? You should give them a listen. 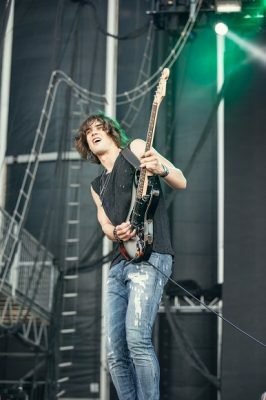 Mr. DeGraw was next, and not only was I pleased with my distance from the stage, but so were my brother and sister-in-law (a huge DeGraw fan). 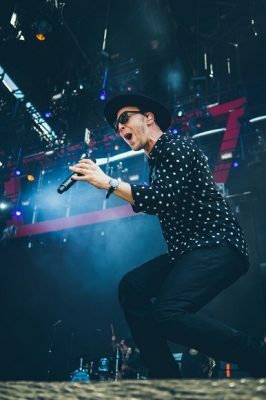 His entire setlist can be found here. Before he began “Soldier,” DeGraw explained that it was “dedicated to the person in your life you can rely on, that you know you can call when you’re in the middle of nowhere, who will pick you up, let you sleep on their coach, let you eat their food… this is dedicated to all the soldiers, and for the soldiers in each and every one of our lives.” Similarly, he dedicated “Brother” to “all the brothers out there,” which was fun, given that I was seeing him with my own brother. I’ve seen him play several times now, and every time I do, he reaffirms how much I enjoy his music. It’s especially fun to have him playing right here in my town. Suffice it to say DeGraw was an overall highlight of the weekend. As I headed across the Expo to catch part of The Strumbellas‘ set – I missed “We Don’t Know,” but was there with plenty of time to catch the glorious “Spirits” – over on the Samsung Stage, I passed Everlast on the Williams-Sonoma Culinary Stage with the brothers Voltaggio as they were about to embark on the adventure of creating whiskey cocktails – something I would have enjoyed having more time to witness. After The Strumbellas, I made my way back to the JaM Cellars Stage for Live, whose set included 90s hits I hadn’t heard in years (and had missed). They gave us “I Alone,” a cover of Audioslave’s “I Am the Highway,” and one of the best moments of crowd participation (singalong-style) I heard all weekend, which happened during the powerful “Lightning Crashes.” Back in the late 2000s, the band’s announced a “hiatus” that became permanent until the band revved back up in 2011 with a new front man at the helm. 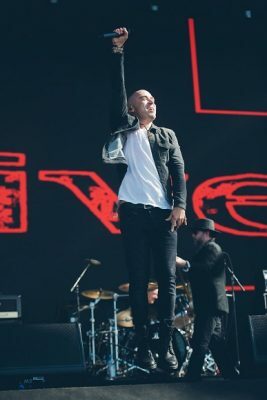 Lucky for me (and anyone else who loved the band in its original form), Ed Kowalczyk announced a return to Live late last year, so it was his voice we were treated to this weekend. After Live, I decided to make a “quick” run to Food Truck Alley, where I encountered the other snack so good that I have to pause to tell you about it – at Drewski’s Hot Rod Kitchen. If ever you spot their truck, I highly encourage you to ask for an order of “totchos” – tater tot nachos with pulled pork (or shredded beef), aioli, spicy BBQ sauce, housemade nacho cheese sauce, jalapenos, green onions and bacon. Just trust me: you likely won’t finish a whole order alone, but either way, you’ll thank me. Totchos in hand, back in front of the JaM Cellars Stage, I was once again able to relax and stay put on the grass, where I would be for the rest of the night. 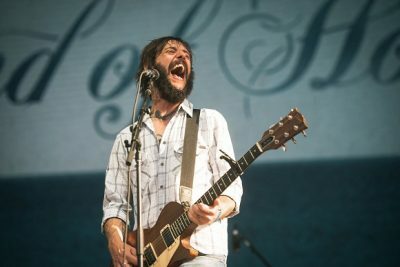 Next up was Band of Horses, whose set had such a perfect, mellow vibe for a breezy holiday weekend. I don’t know many of their songs, but the few I do know I was really looking forward to hearing (“St. Augustine” and the beautiful “No One’s Gonna Love You”). Both were all I wanted them to be when experienced live, and then as the sun began to descend behind the horizon, it was about time to rock out one last time with Foo Fighters. Before I get into Foo’s set, let me just say how excited this town has been in the weeks and months leading up to this. 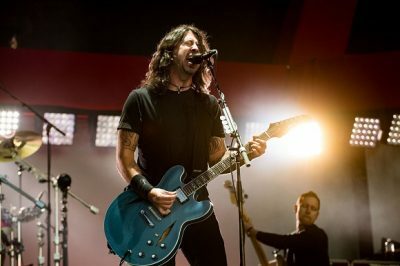 When it was announced that they would headline this year, rumors started to circulate that Dave Grohl had told BottleRock powers-that-be that if they made it to year five, the band would come back and play the festival. Here we are, celebrating BRNV’s fifth year, and good to his word, they were ready to bring it! I didn’t know when they started, but early on Grohl admitted that the band hadn’t performed in two years (with the exception of a very secret show at The Blue Note in downtown Napa just days prior). It was hard to believe, given how good they sounded. 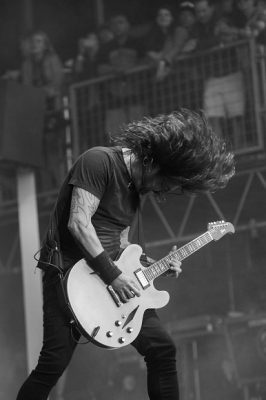 On the other hand, it made Grohl’s boundless energy make sense, as he hadn’t had the surge of fan love and crowd electricity in quite some time. Highlights from the beginning of Foo’s set included “All My Life,” “Times Like These,” and “Learn to Fly. At this point, Grohl announced that he figured “we’ll play until everybody leaves,” jokingly adding, “that’s like another twelve minutes?” Whether or not Grohl knew how strict BottleRock is about the 10:00 pm curfew for its Napa neighbors, I can’t say, but this was the first of several mentions Grohl made to the fact that the band essentially intended to keep the ride going till the wheels fell off. Grohl may have been purposely ignoring the clock, but I wasn’t. I knew the time left for Foo Fighters to wrap their set was coming close to its end, and I wanted one more song, and one in particular. Grohl thanked the dissipating crowd for making it the “best way to come back,” promising “we’ll be doing a lot more of this, after this” before finally beginning “Everlong.” As was expected by the locals, halfway through the song, the proverbial clock chimed 10:00 pm and Grohl’s microphone was cut immediately. I admit, I thought maybe they’d let them finish the song; I hoped it, even. But no. In response, Grohl simply continued to sing without power as thousands of fans finished the song with him amidst great cheering. And just like that, it was all over, again. 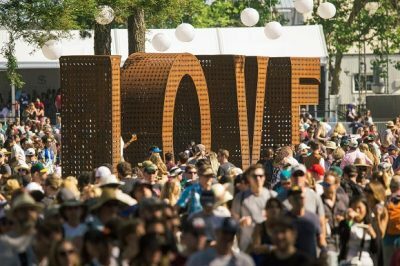 Thankfully, BottleRock is good about softening the blow of the festival’s end each year by announcing the following year’s dates. So I’ll be ready to do it all over again next Memorial Day weekend! 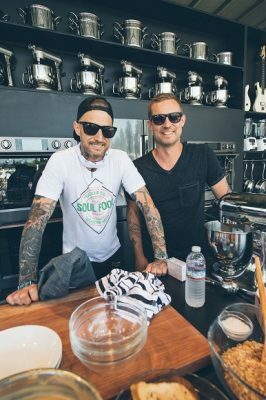 In the meantime, it’s all love for BottleRock Napa Valley!